If its not bad enough that we have to fight tooth and nail to get new trails opened, we also have to fight to keep the existing ones from being destroyed....arrgh!! I refer to my letter to you dated 13 November 2009 and your e-mail dated 1 December 2009. Please be informed that the applicant has withdrawn the planning application. I meant to say that the deadline to send comments to the Islands District Office ended Oct 27. However you have until Nov 3rd to send your comments to the Town Planning Board. Please adhere to the contents of the form "Comment_Form.pdf" that I attached in a previous post. You can send them by email too or by fax as instructed on the form. Its very important that the MTB community speak up. 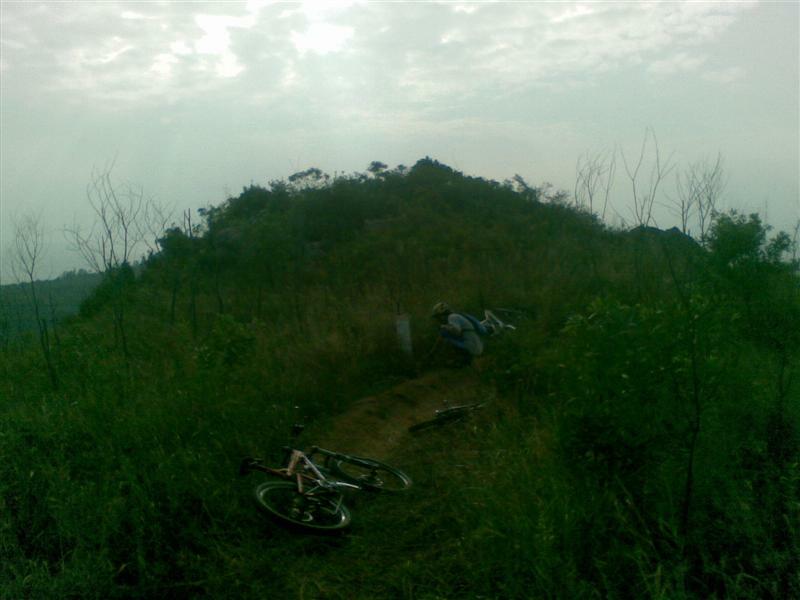 We have so few trails as it is and now CSL wants to step all over Project X. How can the deadline be already passed? the notice says 3rd November? Anyway, why do they need to put a base station there? 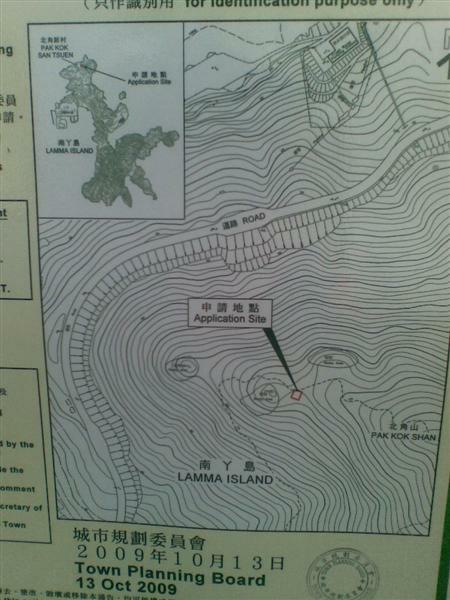 Surely Lamma is adequately covered for mobile phone reception. The deadline to send comments to Ivy Chan has passed. It was not mentioned in the english version but was in the chinese version. Its going to be 52 square meters of concrete on or next to the trail. Don't let CSL ruin our lovely trails because they will if you guys dont act NOW!! 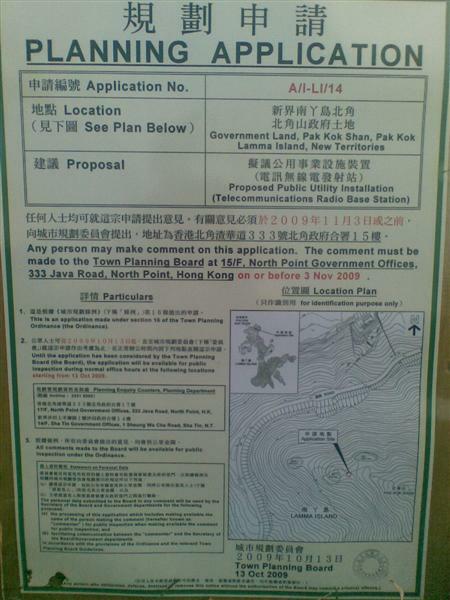 Pak Kok Shan is designated green belt so PLEASE FAX IN YOUR COMMENTS to 2815 2291 (Ms Ivy Chan - for District Officer - Islands District). They will relay your comments. Better yet, go to address in the previous post and supply your comments directly. Last edit: 9 years 5 months ago by tom. About 30sec down the from the top of Project X there is Planning Board notice for a Proposed Public Utility Installation (Telecommunications Radio Base Station) right next to the trail. Last edit: 9 years 6 months ago by tom.